Last week was an important week for Debian and Ubuntu: both distributions had a release. Debian released its new stable release "8.0" nicknamed "jessie". During the jessie development cycle many changes from UbuntuGIS were merged back into Debian GIS. The collaboration with UbuntuGIS and OSGeo-Live projects was improved, resulting in new packages and contributors. Visit Debian GIS tasks pages to see the full range of GIS software inside Debian and the Debian GIS homepage for more information. This means that in jessie you will find a number of new packages (owslib, pgrouting,spatialite-gui,tinyows) and updates to many of the large well known packages: gdal, mapserver, postgis, qgis, saga and grass, but also to openstreetmap related packages such as josm. If you are looking for a stable distribution which offers many gis packages out of the box, debian jessie is definitely the way to go, as it will be supported for five years. 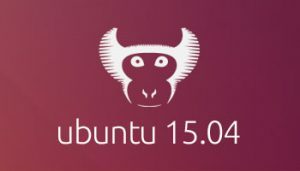 Just a few days before the release of jessie also ubuntu had a new release: 15.04 nicknamed "vivid". Much of the work that was done in Debian for jessie is included in this release (since ubuntu is based on debian), and some packages even got synced from the development versions of Debian: you will find that vivid contains the current release for eg gdal, postgis and saga, without having to rely on a third party archive! All of this was possible because DebianGIS, and Sebastic in particular have been very active. Now that jessie is released, more energy will go into packaging new packages and versions, so if your pet GIS project is not in Debian/Ubuntu yet (or not up-to-date as you would like), it is the ideal moment to join!